Composed by Andrea Morricone and Ennio Morricone (1928-). Arranged by Bob Krogstad. Music for String Orchestra. Movies. Published by Hal Leonard (HL.4491111). 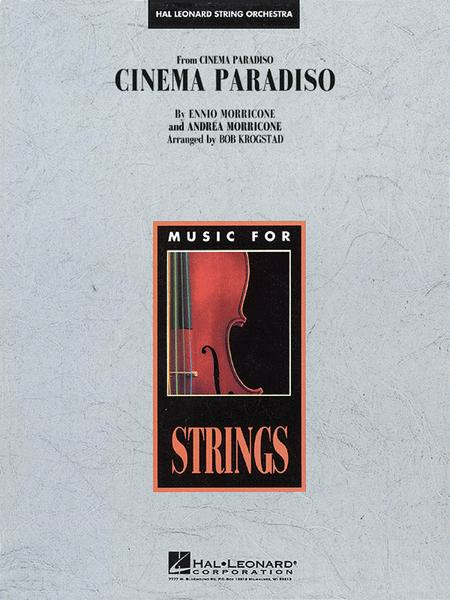 One of Morricone's most beloved film themes, Cinema Paradiso has been recorded and performed by many notable artists, including Ithzak Perlman and Yo-Yo Ma. Let your players and audiences enjoy some of the most engaging film music of our time with this superb new arrangement for mature string ensemble by Bob Krogstad. Sheet music of this movies series is very nice. Score and parts are well organized for ensemble playing and complete too.